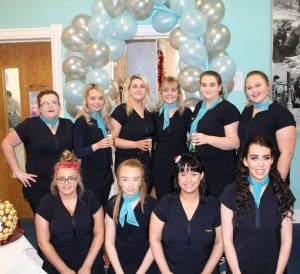 On the 12th of December 2018, The Beauty Therapy Department in Templemore College of Further Education had the Grand opening of its new renovated and refurbished Beauty Therapy room. The teachers of the beauty Therapy Department Sinead O Brien, Ann Hurley, Margaret Hurley, Yvonne Maher, Ann- Marie Sweeney and Katrina Ryan were delighted with their newly decorated, state-of-the-art room designed by Nicola Welford, the College’s Interior Design teacher, and her interior design students. On the day, our Principal Dr Noel Colleran did the honours of cutting the Ribbon. In attendance was expert and specialist Thomaslina from Dermalogica preforming face mapping and professional skincare advice. Students and visitors were offered specialised treatments. It was a fantastic, fun day for all. 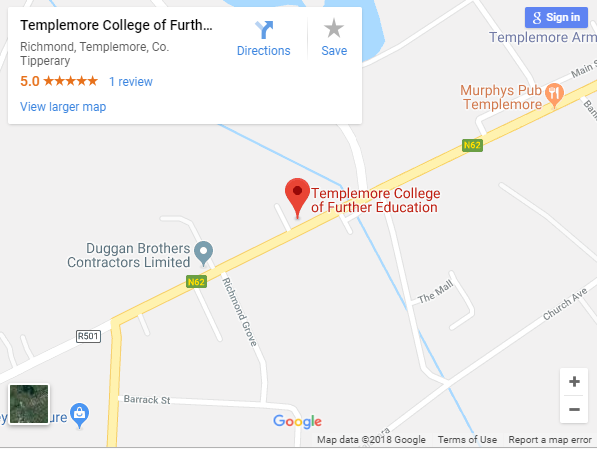 Templemore College Beauty Department is renowned for its top-class training in Beauty Therapy to internationally recognized Qualifications – CIBTAC and CIDESCO Diplomas. We also offer QQI awards in Beauty Therapy. Students attending Beauty Therapy courses in Templemore College develop the knowledge and competency to become Beauty Therapists, as well as Body Therapists and Electrologists. These skills provide career pathways to beauty salons, hotel spas, leisure centres, and cruise liners. 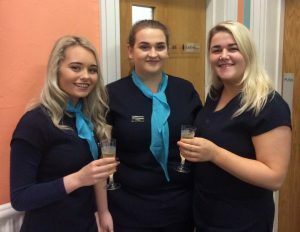 Some of our graduates establish their own beauty therapy business, and others work in sales and retail departments within the beauty therapy Industry. Our enhanced beauty therapy facility ensures that Templemore College continues to provide excellent education in a modern, ‘cutting edge’ environment so that our students have the best opportunities to get the best out of themselves. Why not visit the College on our open afternoon/evening on January 28th next and see, not only our new Beauty Department but all the other education and career-enhancing opportunities we provide for the communities of Tipperary and beyond. For further information regarding our courses and enrolments log onto www.tcfe.ie. Pic 1 – left to right TCFE Beauty Therapy students Lyndsey Fennell, Aoife Ryan & Naomi O Shea. Pic 2 – First and Second year Beauty Therapy students with their teachers at the launch of the newly refurbished beauty Salon at Templemore College of Further Education. 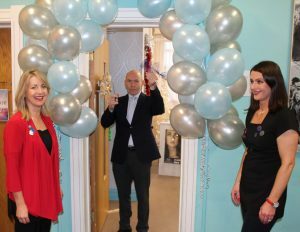 Pic 3 – Principal Dr. Noel Colleran cuts the ribbon to launch the official opening of the newly refurbished beauty salon at Templemore College with course teachers Ann Hurley (left), Sinead O’Brien (right). 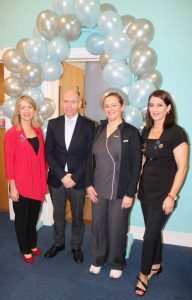 Pic 4 – Beauty Therapy teacher Ann Hurley, Principal Dr. Noel Colleran, Thomasina Smith (Dermalogica Expert), Beauty Therapy teacher Sinead O’Brien at the official opening of the newly refurbished beauty salon at Templemore College of Further Education. Pic 5 – Back row Left to Right Michelle Fogarty, Lyndsey Fennell, Naomi O Shea, Zoe Mckell, Aoife Ryan , Danielle Wolwarans. Front row Left to Right Louise Carey, Micheala Dunne, Amy Buckley & Cecily Wisdom.